I write a lot about how to eliminate expenses and reduce the OUTGO from one's home economy, but there is another side to the equation and that is INCOME. INCOME – OUTGO = EXACTLY ZERO works a lot better when the INCOME is increased! This series is focused on one key way that INCOME can be increased and that is to Negotiate A Pay Raise. In each part, I will be sharing how I have successfully negotiated pay raises in the past. Here's to this series helping you do the same! Part 2 – "Do Your Homework"
The key to any successful pay raise negotiation (or any negotiation for that matter) is to have completed your homework. Information is absolutely POWERful! Be sure you have completed Part 1. Research comparable positions in the area to see what they pay (Salary.com is great, Monster.com is OK). Understand the demand for your skill set, education, abilities, and capabilities. Job boards, on-line classifieds, newspaper listings, and recruiters are good places to start. If you work for a larger company, be sure to check out your companies job postings and the pay scales. It might make sense to go on a couple of job interviews just to understand what education and skills are being sought by employers. Identify specific projects and activities that you have led or participated in that resulted in substantial benefits for your organization. Objective and measurable results speak much more than subjective "kind-of sort-of possibly vague stuff". If you work for a for-profit company, show how your efforts have led to cost savings, improved sales, improved productivity, and profits. If you work for a non-profit organization, focus on how your efforts have furthered the organization's mission/vision/goals. Identify the upcoming projects and activities that you will be leading or participating in that will result in substantial benefits for your organization. For me, it has always been extremely helpful to write my thoughts down over a one or two week period. This ensures that I have been able to effectively think through the above items and organize the data into useful information for Part 3 – Asking For The Raise. 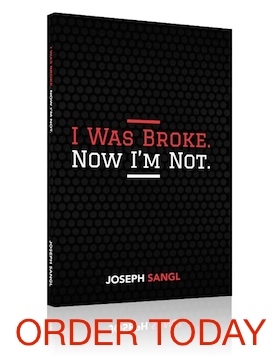 This is Part 2 of a series featured at JosephSangl.com – "Negotiate A Pay Raise"
You can receive each post from JosephSangl.com via E-MAIL by clicking HERE!